One of Bertoia's early forms, the "line and platform sculpture". 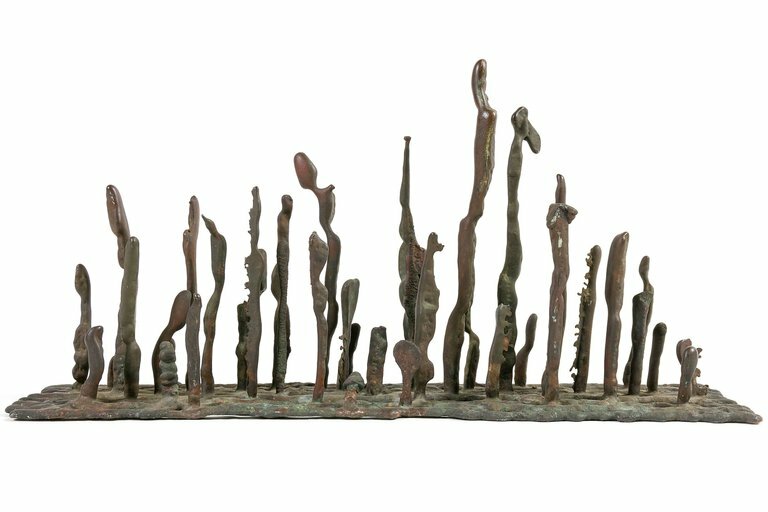 Like many of Bertoia's sculptures, the vertical figures mounted on the base represent organic forms, possibly his childhood memories of the landscape where he grew up in Italy. H 8 in. x W 16.25 in. x D 4.25 in.